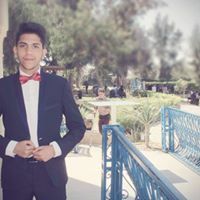 A quick flash about my background, i am a freshman in college,i started my career in very young age ,and during my 4 years in highschool i have been always keen to learn the different languages of coding. During Junior and senior year of highschool when we actually started having some "basics" of coding, i had already mastered Java, C++/C#/C and other languages that were not included in the highschool curriculum.I started my career in very young age , and i had clients in my country. What i wanted to say by this story is that i always set my goals high and challenges to myself and work had to achieve them. My Presistancy is my number one factor in reaching these goals and overcoming those challenges. My main goal is building long term relationships with clients. My portfolio shows only a little fraction of my work ,please feel free to contact me at any time. It makes people easy to find hotel, restaurant, entertainment, park and etc. Send an invitation to Chahin J.